Glenn L. Keiper Jr., M.D. "I like taking on complex problems, caring for people and contributing to their lives. That's what drew me to spine surgery. My daily encounters with patients have inspired me to develop new techniques and technology-and I'm one of only two surgeons in the region chosen to perform two revolutionary procedures. "These new techniques - motion segment preservation and artificial disc placement - have been designed to eliminate the need to fuse the patient's lumbar spine. That means simpler surgeries, quicker recovery - and far more freedom. Whatever the challenge, I'm here to face it with you. Together, we'll find the right treatment that leads to the best possible outcome." "Spinal disorders have been a passion of mine since my college days as a biomedical engineer, a passion I have carried on throughout my career. Nothing is more rewarding than helping patients improve their lives, whether addressing a complex problem, or developing ways to address common spinal disorders in a minimally invasive way, thereby minimizing the risk and pain associated with surgery. 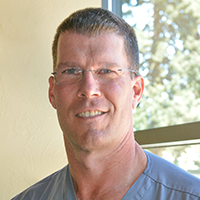 "This passion for spinal surgery has helped me develop new techniques and instruments, and to educate myself about all aspects of spinal care, including nonsurgical approaches. I enjoy working with patients to educate them about their condition and treatment choices, and helping patients choose a path which is right for their lifestyle." 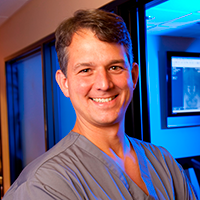 Thanks to advances in technology made by Dr. Keiper, Dr. Sherman and others, patients can now elect a minimally-invasive spine surgery on an outpatient basis. 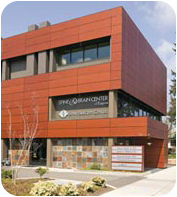 If you would like to explore the possibility of having your surgery at Spine Surgery Center of Eugene, call KeiperSpine, PC to request a consultation with Dr. Keiper or Dr. Sherman, Board Certified neurosurgeons.